Held in the Valencian town of Buñol, La Tomatina is a festival that has gained a lot of popularity around the globe due to it consisting of people throwing tomatoes at each other, for fun. 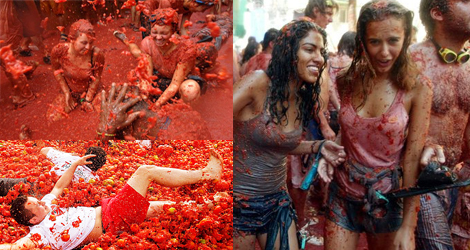 This friendly tomato fight takes place every year on the last Wednesday of August. This Wednesday, more than 22,000 individuals engaged in this festival, celebrating its 70th anniversary. Due to its anniversary, 150 tons of tomatoes were released, which was a record high. All attendees were soaked in tomato juice. It has been noted that this friendly tomato fight lasted for more than sixty minutes and that it started ten minutes earlier than scheduled, as people were more than anxious to begin the tomato throwing at full speed. The rules of the game are very simple. Before throwing them, participants must squash their tomatoes. Throughout the tomato battle, there were no issues with the arrival and the departure of the participants. Regarding injuries, only a couple of them took place, which were very small. There are some individuals who suffered from small cuts, while others needed eye drops due to the tomato juice irritating their eyes. 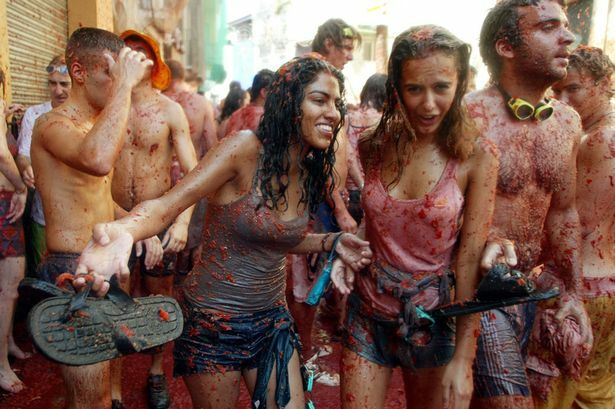 Part of the revenue that was attained from this year’s La Tomatina will go to charitable causes. 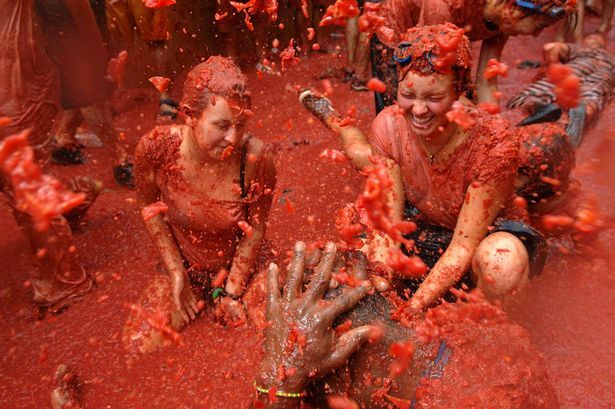 Before the festival started, the mayor of Buñol stated that since La Tomatina attains global focus, they will utilize this opportunity to highlight things that should be rejected in society such as homophobia and sexist violence. He added that by doing this, they can make the world a better place while having fun. 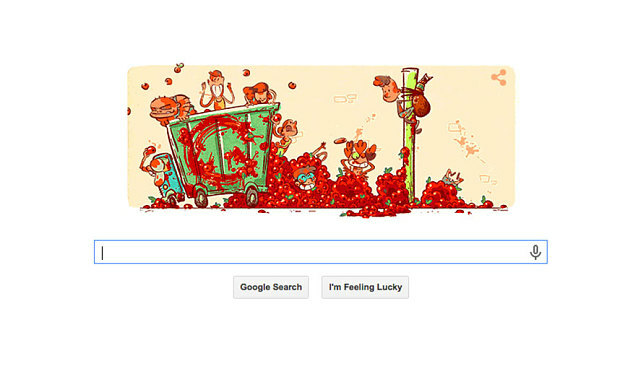 To celebrate La Tomatina’s 70th anniversary of the festival, Google has also created a special Doodle for the occasion. In addition to a great number of Spaniards attending La Tomatina this year, there were also other people from other countries, like England, India, Japan, United States, and Australia, among others, which isn’t a huge shocker, since in the last 70 years, La Tomatina has always been able to attract the attention of people of all ages, sexes, backgrounds, and countries, which is one of the things that makes it so special.